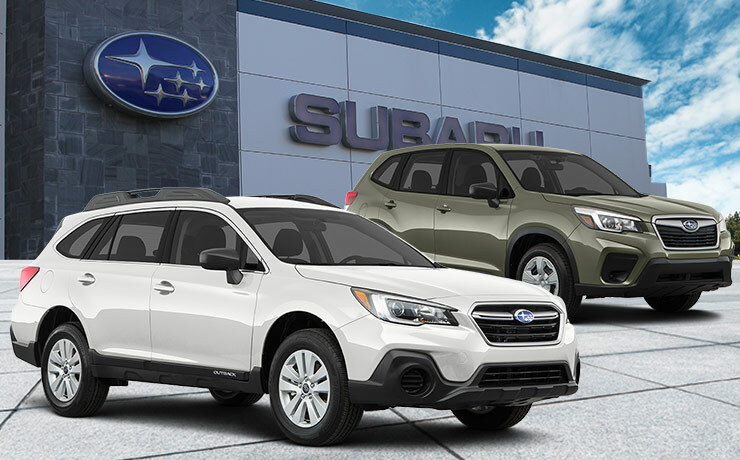 On select in-stock 2019 Subaru models. $0 due at signing. Excludes tax, tag, title, registration fees and Georgia Lemon Law fees. 0% APR financing for up to 36 months with monthly payment of $27.78 per $1,000 borrowed. For well-qualified applicants only, with approved credit. No down payment required. Other rates and payment terms available Cannot be combined with any other incentive. Length of contract is limited. Subject to credit approval, vehicle insurance approval and vehicle availability. See dealer for complete details. Expires 04/30/19. 36-month lease with approved credit. $1,989 due at signing. $0 security deposit. Excludes tax, tag, title, registration fees and Georgia Lemon Law fees. At lease end, lessee responsible for vehicle maintenance/repairs not covered by warranty, excessive wear/tear, 15 cents/mile over 12,000 miles/year and $300 disposition fee. 3.49% APR financing for well-qualified applicants only, with approved credit. No down payment required. EPA estimated fuel economy, actual mileage may vary. See dealer for complete details. Expires 04/30/19. Push your boundaries further in a 2019 Subaru Crosstrek. 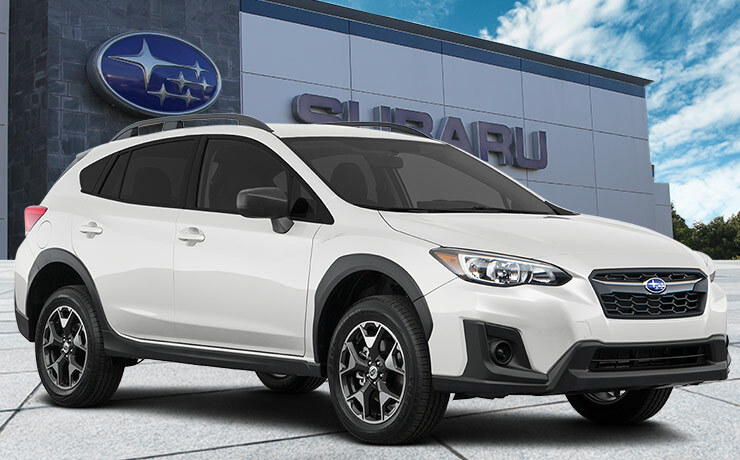 Considering 97% of all Subaru vehicles built in the last 10 years are still on the road, you know the 2019 Crosstrek is built for the long haul. With up to 55.3 cu.-ft. of cargo room and an easily loadable wide rear gate opening, the Crosstrek allows you to take everything along. Available Blind-Spot Detection and Rear Cross-Traffic Alert keep you safe no matter where you may be going in and around Columbus and LaGrange, GA.
36-month lease with approved credit. $2,239 due at signing. $0 security deposit. Excludes tax, tag, title, registration fees and Georgia Lemon Law fees. At lease end, lessee responsible for vehicle maintenance/repairs not covered by warranty, excessive wear/tear, 15 cents/mile over 12,000 miles/year and $300 disposition fee. 0% APR financing for well-qualified applicants only, with approved credit. No down payment required. EPA estimated fuel economy, actual mileage may vary. See dealer for complete details. Expires 04/30/19. The 2019 Subaru Outback is the rugged SUV built to take you places you’ve never been. 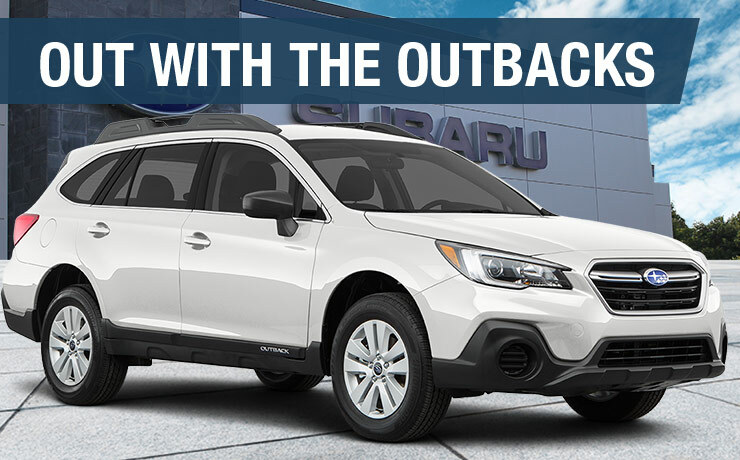 Built to maximize versatility, durability and all-around safety, the Outback’s SUBARU BOXER® engine and Lineartronic® CVT (Continuously Variable Transmission) give you an EPA-estimated 32 highway MPG. 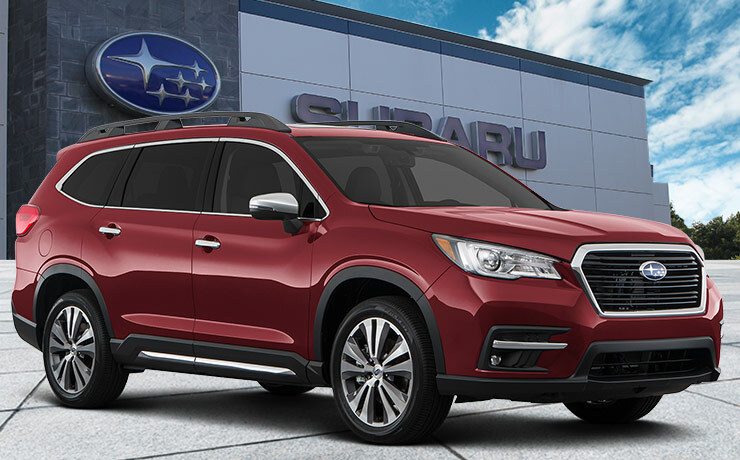 Subaru Symmetrical All-Wheel Drive, X-MODE® with Hill Descent Control and 8.7 inches of ground clearance are all standard, so you never need fear the road less paved. Drivers in Columbus and LaGrange, GA, as well as Auburn-Opelika, AL, will enjoy a quiet, spacious interior loaded with leading edge tech including Apple CarPlay® and Android Auto. 36-month lease with approved credit. $2,055 due at signing. $0 security deposit. Excludes tax, tag, title, registration fees and Georgia Lemon Law fees. At lease end, lessee responsible for vehicle maintenance/repairs not covered by warranty, excessive wear/tear, 15 cents/mile over 12,000 miles/year and $300 disposition fee. 3.49% APR financing for well-qualified applicants only, with approved credit. No down payment required. EPA estimated fuel economy, actual mileage may vary. See dealer for complete details. Expires 04/30/19. The 2019 Subaru Forester is the SUV that can’t be summed up in just 3 letters. Whether it’s the daily commute or a weekend adventure, feel secure with the latest safety technologies including standard EyeSight® Driver Assist Technology with Pre-Collision Braking. No matter where your travels take you, you’ll ride in comfort with Forester’s spacious interior and 76.1 cu.-ft. of cargo space. 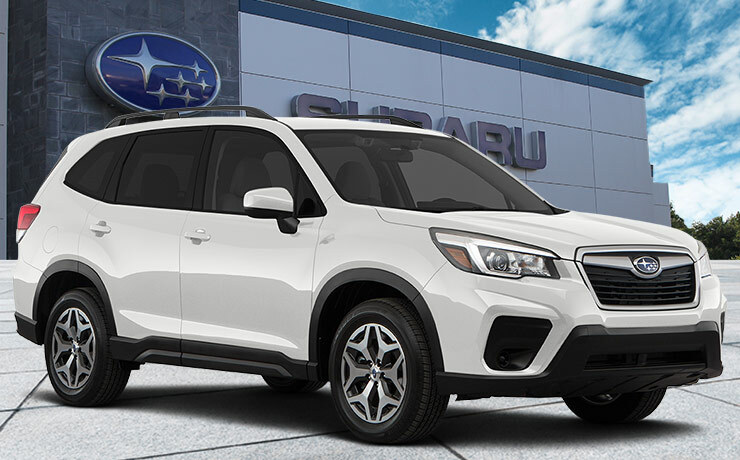 Available amenities like a built-in wi-fi hotspot and remote engine start are solid reasons why the 2019 Forester is the SUV of choice for smart drivers in Columbus, GA, to Auburn-Opelika, AL. 36-month lease with approved credit. $2,989 due at signing. $0 security deposit. Excludes tax, tag, title, registration fees and Georgia Lemon Law fees. At lease end, lessee responsible for vehicle maintenance/repairs not covered by warranty, excessive wear/tear, 15 cents/mile over 12,000 miles/year and $300 disposition fee. 3.49% APR financing for well-qualified applicants only, with approved credit. No down payment required. See dealer for complete details. Expires 04/30/19. With flexible seating for up to eight passengers, standard Symmetrical All-Wheel Drive, and up to 5,000 pounds of towing capacity, the family-sized 2019 Ascent makes every day an adventure. With 153.5 cubic feet of passenger volume and ample cargo space plus underfloor storage, there’s room for every passenger and all their gear in Columbus and LaGrange, GA, as well as Auburn-Opelika, AL. 36-month lease with approved credit. $1,989 due at signing. $0 security deposit. Excludes tax, tag, title, registration fees and Georgia Lemon Law fees. At lease end, lessee responsible for vehicle maintenance/repairs not covered by warranty, excessive wear/tear, 15 cents/mile over 12,000 miles/year and $300 disposition fee. 1.9% APR financing for well-qualified applicants only, with approved credit. No down payment required. See dealer for complete details. Expires 04/30/19. The 2019 Subaru WRX is the best-handling, best-performing Subaru ever. 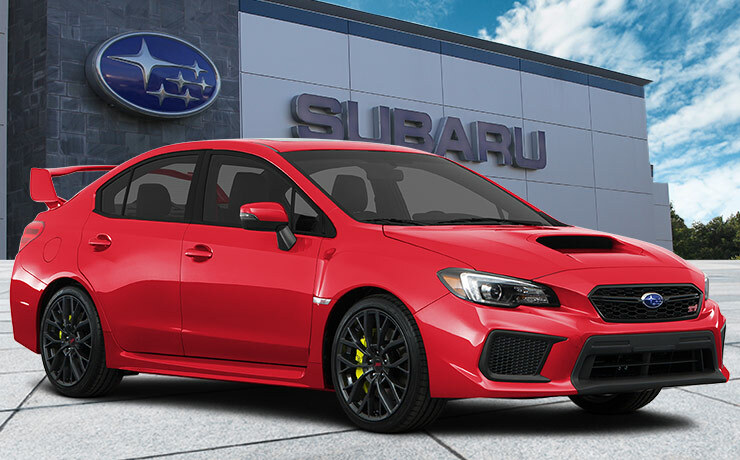 You’ll smooth out every sharp curve with the WRX’s pillow-ball joint mounts and a double wishbone rear suspension. And with Subaru Symmetrical All-Wheel Drive and Active Torque Vectoring, you’ll enjoy a seemingly endless supply of continuous traction. Feel the power of the 268-hp 2.0-liter Direct-Injection Turbocharged (DIT) SUBARU BOXER® engine. Travel with peace of mind with Subaru’s acclaimed safety features, including available LED Steering Responsive Headlights and High Beam Assist. We’re proud to serve drivers in Columbus and LaGrange, GA, as well as Auburn-Opelika, AL.